Kess 1:43 resin model of the 1971 Monteverdi High Speed 375/4 in blue metallic. 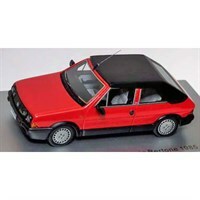 Kess 1:43 resin model of the 1985 Fiat Ritmo 100S Supercabrio Bertone in red. 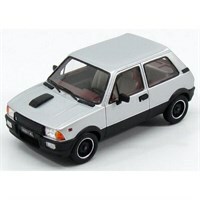 Kess 1:43 resin model of the 1983 Innocenti Mini De Tomaso Mk.II in silver. 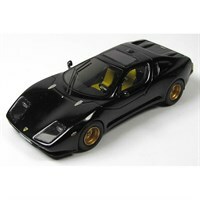 Kess 1:43 resin model of the 1985 Puma GTV 033 in black. 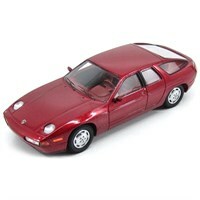 Kess 1:43 resin model of the 1986 Porsche 928 Custom Factory 4-Door Sedan in red.